I have decided to show something about my Exigus this time, this species includes rodents like mouse and other small animals in the cómic. It is important to consider that this article is about designing and drawing characters using my own drawing style seen in the Derideal webcomics. (By the way, Exigus comes from the latin Exiguus, which can mean "little or short"!) I highly recommend you to check the Character Face tutorial, which generalities are also applicable to these little guys! Let's start! 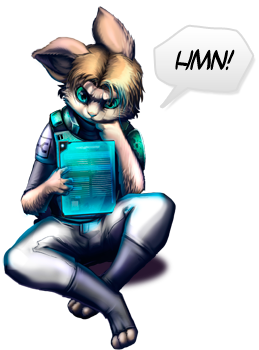 The Exigus or mice in the webcomic are small, they grow up to 35-40cm tall. Females are thinner and just a bit smaller. 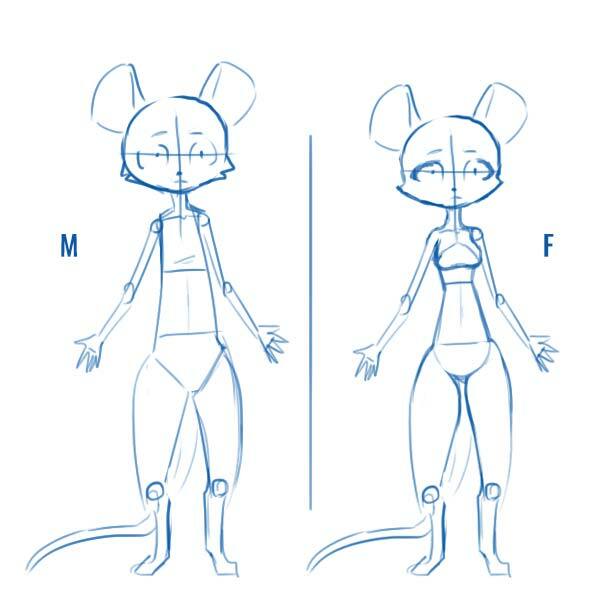 The main differences in their body design are located in: Torso, chest, hips and thighs (also the head). The female design has wider hips, and in contrast of the male you can notice better the point where the chest and the abdomen meets, the male body (torso and abdomen) is more similar to a cylinder that gets wider in the bottom. Legs, thighs and hips should be more rounded, you can look at the picture to get a better idea. 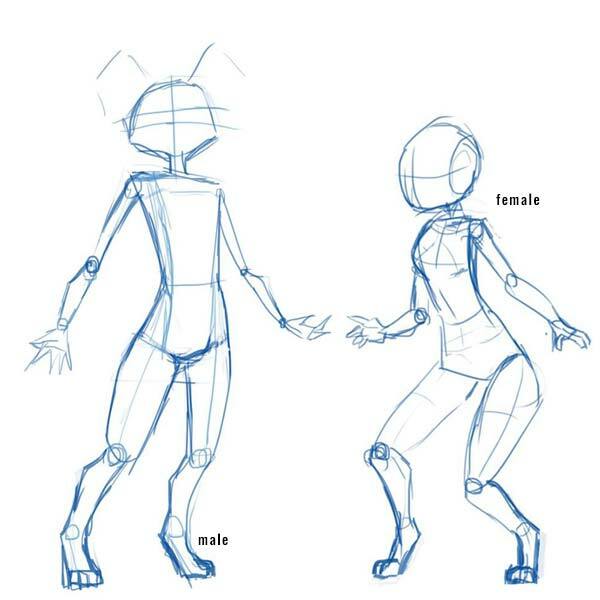 This other picture also illustrate the difference between males and females, this time using blended legs. Remember that younger Xenos have legs made this way. 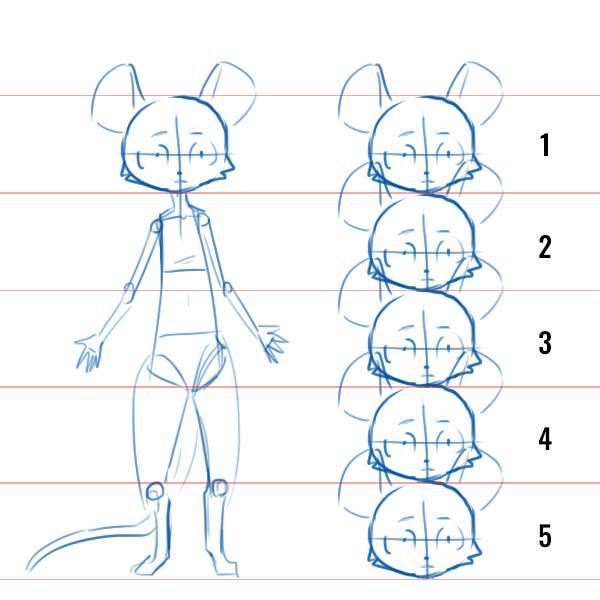 Character Design Notes- Rodent/Mouse - Size proportion: The exigus are small and you can use as an approximate measure 5 heads of height to achieve a proper proportion. This merely represents they're smaller, they're the smaller of all Xenos. 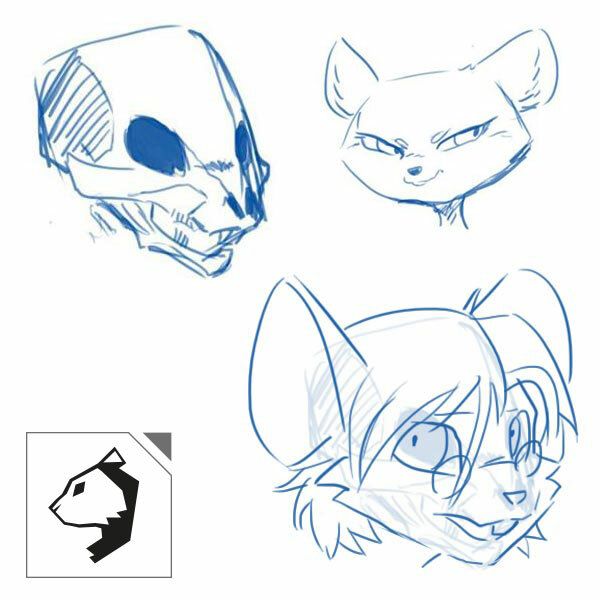 I recommend you again to check out the face construction tutorial, it's in general easily to apply here, but don't worry I'll also leave some mouse examples here! This is just a little game, just imagining how the skull of these creatures would look! I normally do this after a while just for fun, it isn't obviously a precise skull or anatomically correct! 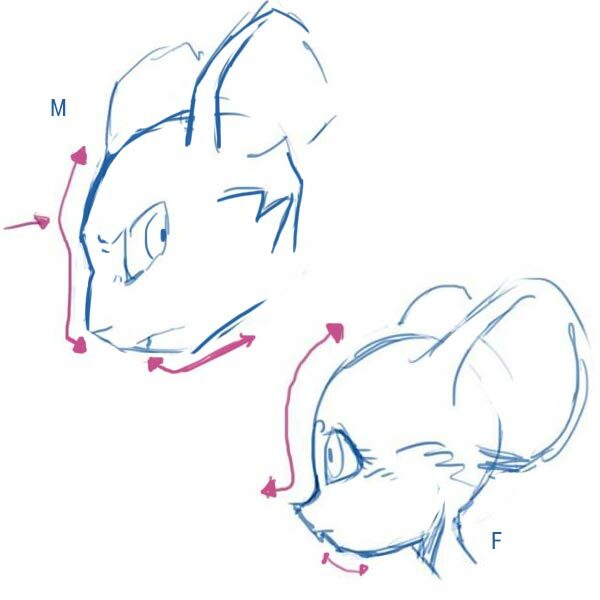 The heads of male and female have basic generalities to consider, the more geometric the features (or square) you add to the character, it will look more masculine, the more rounded it's usually the contrary. 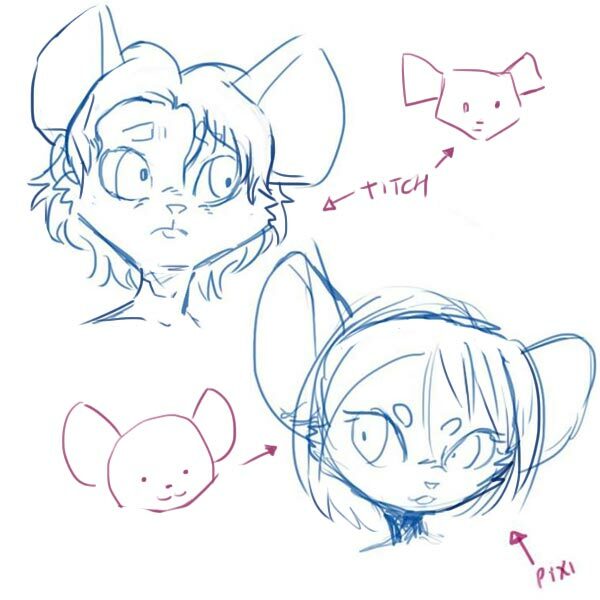 This picture shows the head and face of Titch and Pixi from my Project Prime - The Void Webcomic, plus a very simplified shape of example so you can notice the general shape of their heads, in general you can tell Pixi has a more rounded head and also more rounded ears! As I've mentioned in the Face Tutorial, it's normal than the female face shows features like more bigger and rounded eyes, and also a smaller or less developed chin/jaw. Remember that you can customize more your character's face by modifying the cheek-fur, the shape and color of the eyes, the same and size of the ears, well, you can customize every feature of the face to get different looking characters! These are profile examples, in general the male's head is longer and flattened at top and bottom. It's important to preserve the key differences, like the more rounded forehead and smaller jaw/chin in the females. The female head is notoriously more spherical in this case, with bigger eyes and a smaller muzzle. Exigus hands are more similar to human hands. They have longer fingers capable to handle most tools easily. Their hands are very delicate, and their fingers have a slightly pointy end, this has stylistic reasons, and is a way to represent their claws or little nails. 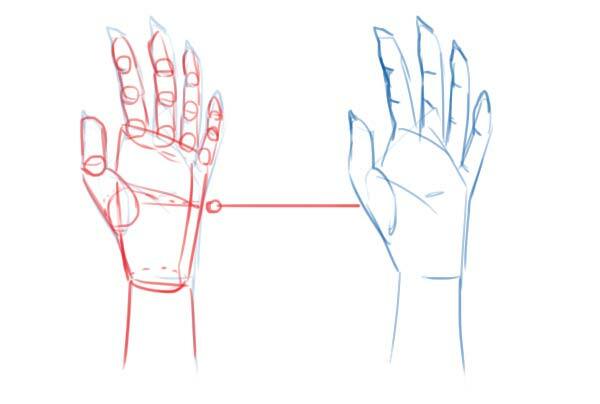 If you have problems drawing hands, I hope to make a small tutorial to show how to draw stylized hands, like the ones I make in my characters. 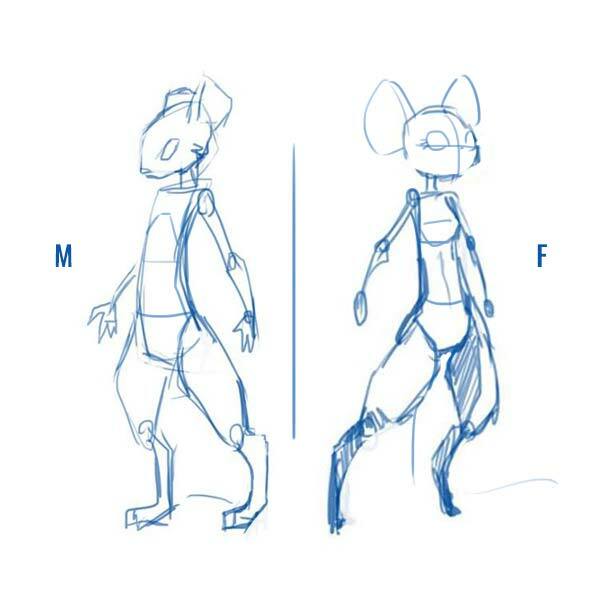 The exigus's legs have slight differences in their design respect to other species shown in Derideal. Their legs are more thin and their thighs might look a bit longer. I normally draw the Exigus (mice) with slightly bent legs, their feet have individual fingers with a very stylized look, they don't have much fur in their feet, but I don't like to draw their fingernails or claws individually. 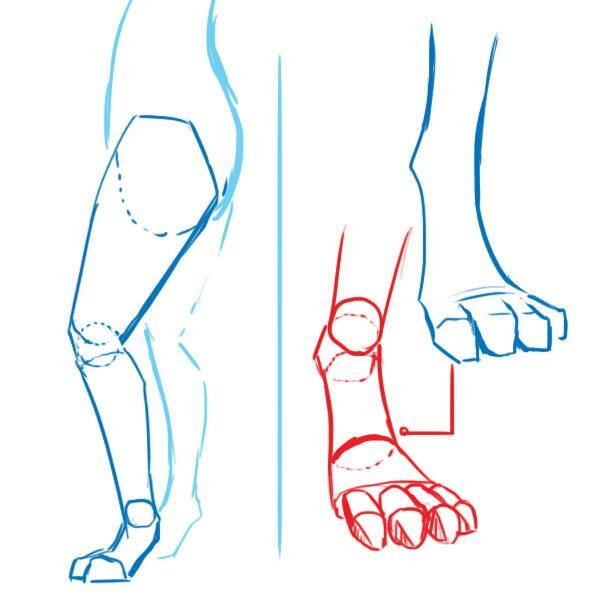 The main difference between male and female legs is how more rounded or thin you make them, there isn't an exact rule, just to remember females have wider hips and more rounded thighs. This structure skeleton can also be adjusted to draw other little animals, like squirrels and rabbits. You could just make everything a little more fat and draw smaller ears and end up with a hamster, I mean, you can modify little details and it will allow you to create other rodents or small animals using this same template. 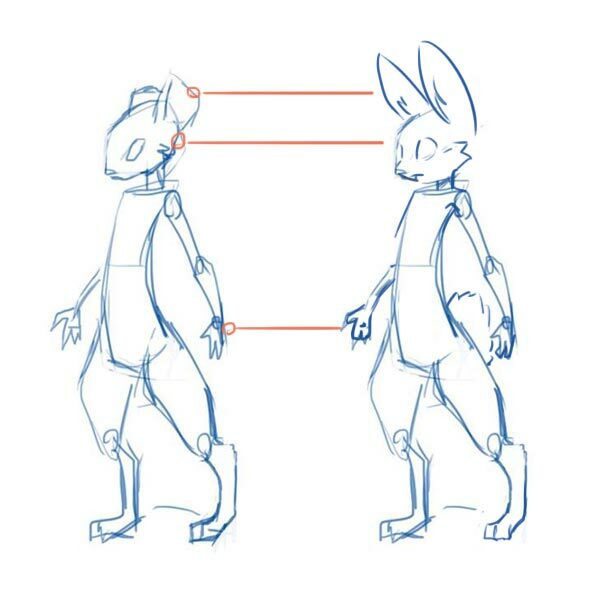 You can modify their ears, make the muzzle smaller, add a fluffy tail and you can draw a bunny using this same body structure and proportion.